There are three main families of conifers, which are traditionally used as Christmas trees - these include firs, spruces and pines. Within each family, are many species or varieties, which have been identified and/or developed for the Christmas tree market. These evergreens embody characteristics of shape, color, fragrance and needle retention, which make them appealing to the American consumer. Although there are hundreds of conifer varieties available, growers must select those species, which will thrive in their soil and growing conditions. In Delaware as in other states, soil types vary from one location to another. 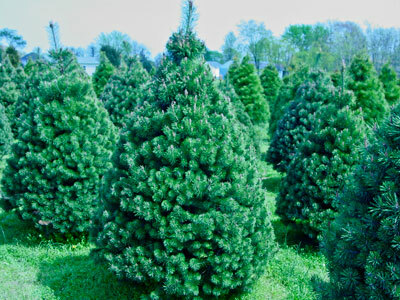 However, most Delaware growers have to select conifer varieties that grow at low altitudes, since the general altitude of the state is below 50 feet of elevation. 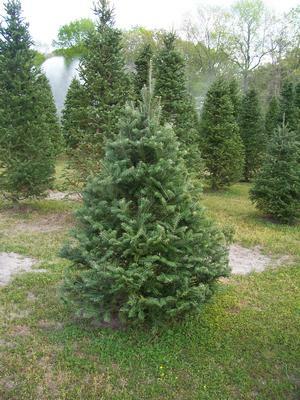 Fir trees are a popular choice for use as Christmas trees due to their inherent qualities of color, fragrance and needle retention. Firs have needles that are two-sided and about an inch in length. The needles are soft to the touch and depending on the species, vary from bright green to blue-green in color. 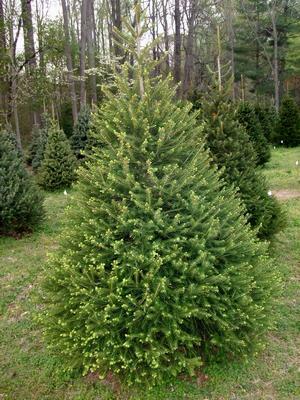 Firs tend to grow symmetrically and therefore, require only minimal pruning. Growth for most fir species is slow. 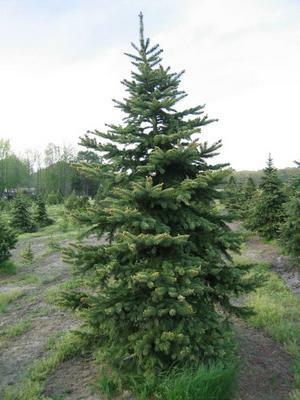 To grow a six-foot fir tree requires between seven and ten years. 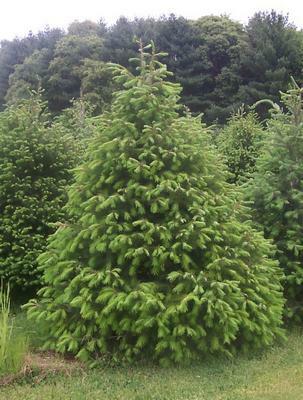 Many fir varieties have been introduced into the U.S. market. 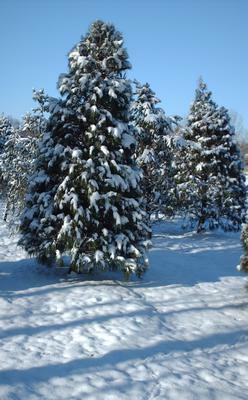 Those fir varieties grown on Delaware Christmas tree farms are pictured below. Spruce trees have been used traditionally as Christmas trees due to their color, the strength of their branches, and their symmetrical shape. 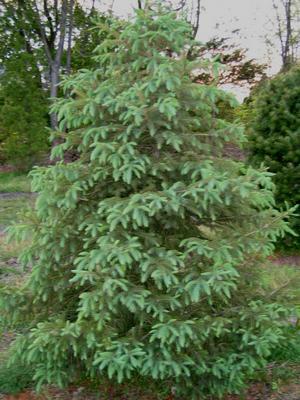 Spruces have short four-sided needles, which are less than one inch in length. These needles are stiff and pointed and sharp to the touch. Depending on the variety, spruces range from silvery-blue to glossy dark green in color. Many people select spruce for the strength of its branches, as they comfortably support heavy ornaments. Spruces tend to be very slow growers and require between ten and fifteen years to produce a six-foot tree. Needle retention for spruces is fair. If you normally keep your Christmas tree up for no more than two weeks, a spruce would be a good choice. 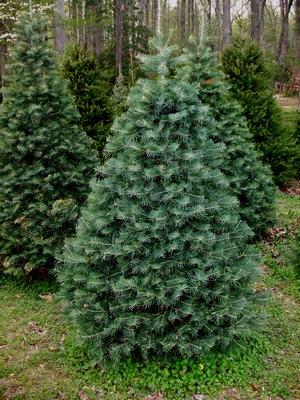 However, if you plan to keep your tree up for a longer period of time, a pine or fir variety would be more appropriate. 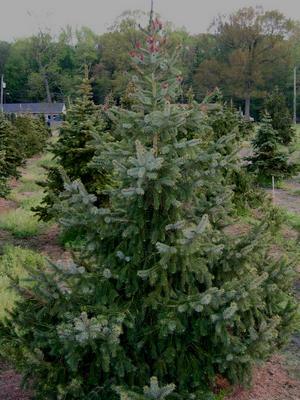 Below are pictured those spruce species which are grown in Delaware. 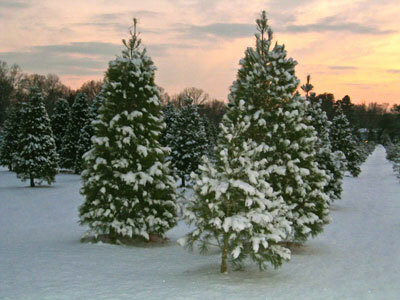 Pines were rarely used as Christmas trees in the U.S. until the early 1950’s. Since then, they have grown steadily in popularity due to their color variety and length of needle retention. 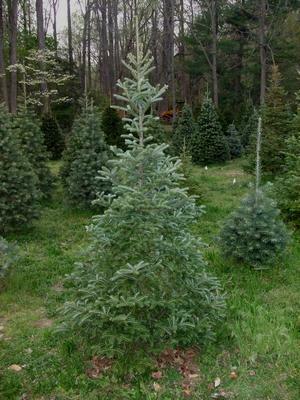 Pines will typically retain their needles for four to six weeks after cutting. The most distinguishing feature of pines is their long needles. Pine needles occur in small bundles or clusters, with two to five needles per cluster, depending on the species. Needles range in length from 3 inches to 6 ½ inches, and color choices include many shades of green and blue-green. There are more than 100 species of pines recognized worldwide; about forty of these species are native to the United States. 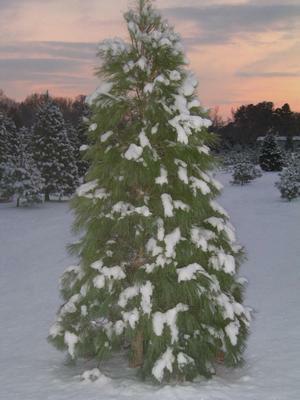 As a group, pines are the fastest growing of the Christmas trees. It requires only six to eight years to grow a six-foot pine tree and pines will grow on a wide range of site conditions. Most pine varieties do not naturally grow in a dense or cylindrical form. 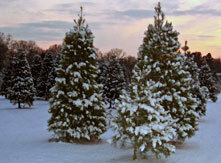 Therefore, growers must prune all pines annually to assure that a traditional Christmas tree shape is achieved. Pruning must be conducted just after the tree’s new growth “hardens”. In Delaware, that means that pines are sheared from early in June through mid–July.